Home » Uncategorized » 2018 Miss NH Track and Field??? 2018 Miss NH Track and Field??? Do you value the athlete that excels in multiple events on both the track and in the field or do you value the athlete that is nationally ranked in 1 event? What about the athlete that simply wins? Whether it is a division, state and large invitational titles, when the most is on the line, they step up and simply win. In our opinion, the candidates in the poll below have had the best 2018 campaigns in their respective areas. We do not consider past years, just this isolated season. We will be hoping to interview and present their award to them at New Englands this coming weekend! Vote!! 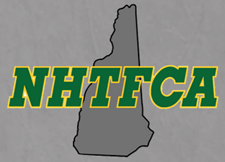 Help us make the decision as to who is the 2018 Miss NH Track and Field! Kristina #1 … Go get girl ! Talk about a phenom!!!! Go Kristina A!!! This gal is a lovely young lady and a wonderful athlete !! Kristina is an amazing person as well as an athlete! She is an incredible athlete. Keep up the exceptional work!! Kristina Allard is one awesome athlete. There is nothing she can’t do. She is smart and kind and just a great kid to be around. Good luck Kristina!! Best of luck to a fine young lady! Go Kristina! You rock, we’re so proud of you! Kristina’s got my Vote! She deserves “Miss NH” in every sport. She’s an incredible athlete! Amazing athlete and all around girl! Dedication is her middle name!! Has a heart of gold!! She is amazing!! Deserves every good thing that can come her way!!! Kristina is s heck of an there. This girl has been my favorite athlete for a long time. She was so hard to coach against. Kristina deserves this award hands down. Kristina- it is my pleasure to vote for you – this is a well-deserved honor! Good luck! Kristina is very talented and will have a great high school career on the track. But Jackie Gaughan is a self made phenom! Her performance at the D1 Meet running the 1600, 800 and 3200 helped deliver the team title for Exeter. Then at MOCs she showed just how dominant she is beating a group of very talented girls by almost a minute. Good luck at Brooks Nationals Jackie! Jackie Gaughan is amazing! Ran sub 10 for 2 mile tonight! Led her team to D1 team title. Such an amazing runner! Previous post Recap!! Replay!! 2018 MOCs!! Next post 2018 Mr. NH Track and Field?? ?